Big changes are on the cards for Microsoft's twin Spartan and Internet Explorer browsers ahead of the release of Windows 10. First reported by ZDnet, Microsoft is adjusting the rendering engines used by each browser so that the older Trident (MSHTML) engine is only used by IE 11 whereas Project Spartan is solely run on the newer Edge (EdgeHTML) engine. 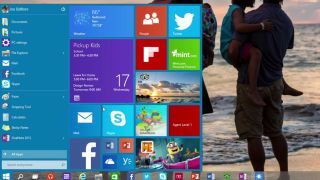 The move was made following feedback from Windows Insiders and customers that have downloaded the Windows 10 technical preview, where both Edge and Trident rendering engines were used inside each browsers. Users mentioned that they weren't able to work out the difference between how Spartan and IE 11 operate and thus Microsoft felt the change was needed. Edge, the newer version of the rendering engine, is based on a fork of Trident that has been further optimised for both standards and interoperability. It promises better support for "modern HTML websites" and brings with it support for unique user experiences such as annotation, distraction-free reading and Cortana integration. Spartan, Microsoft's new browser that now runs exclusively on Edge, will be the default browser for all version of Windows 10. IE 11, meanwhile, will ship with certain versions of Windows 10, however, Microsoft has yet to clarify the versions that will have it on board though it's speculated it will ship in devices running the desktop SKU of Windows 10.